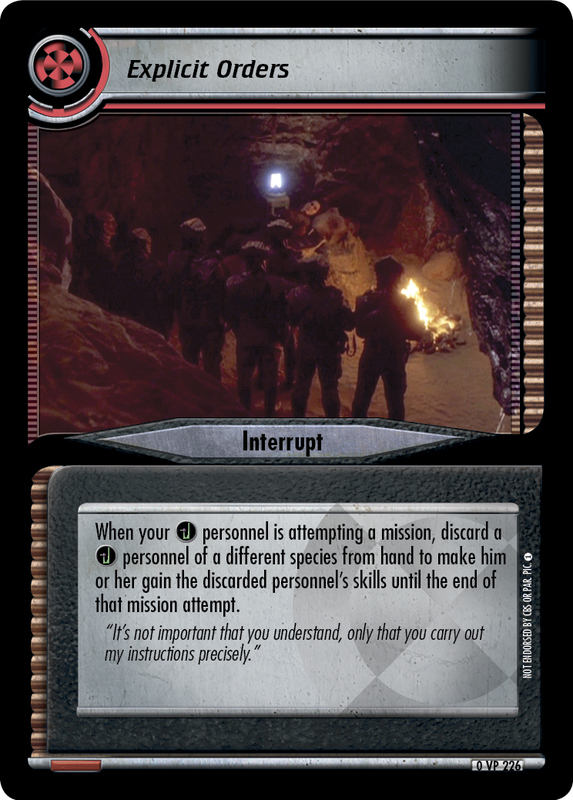 When your personnel is attempting a mission, discard a personnel of a different species from hand to make him or her gain the discarded personnel’s skills until the end of that mission attempt. 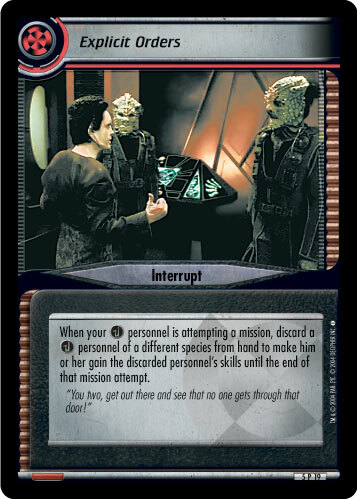 "You two, get out there and see that no one gets through that door!" 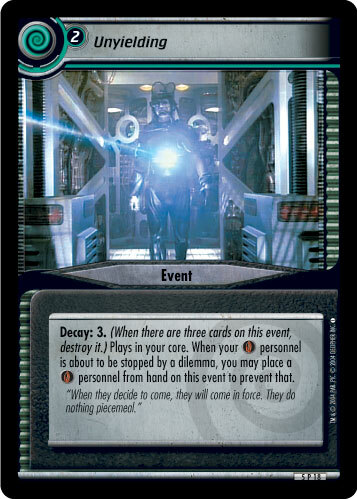 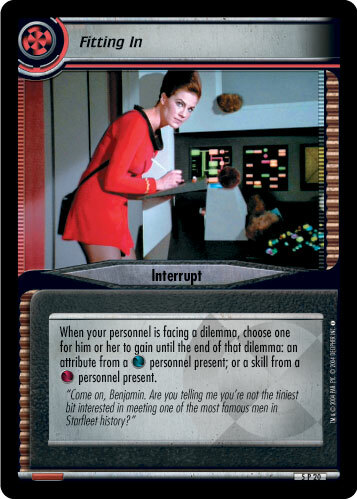 Image Source: Deep Space Nine: "What You Leave Behind, Part I"